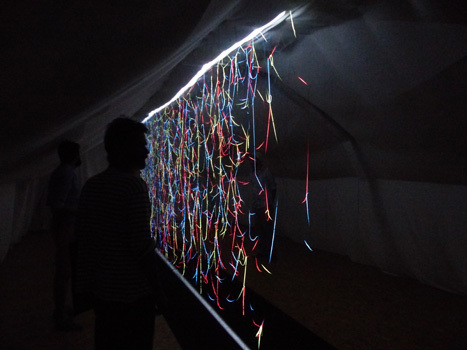 ACT(e)s residencies "promotes the dialogue between heritage and contemporary creation, through the production of works and the meeting of artists with the public. For this first edition, Arthur Zerktouni, Aurélia Frey, Benoit Villemont, Nico Raddatz and Cyrille Courte were selected following a national call for applications. They are welcomed in five monuments of the Department: the Royal City of Loches, the museum of the prehistory of Grand-Pressigny, the Rabelais museum, the Balzac museum and the Priory Saint-Cosme, Demeure de Ronsard. Immersed for two months (June and July), they immerse themselves, to better inspire themselves, the history of the site, its architecture, its environment, its uses ... The works produced in-situ echo the monument in which, and for which, they are created; they reveal new points of view through the singular looks of the creators. These residences are also sources of human experiences: the meeting between the artist, the site’s staff and its visitors. From September 1st to November 15th, 2018. 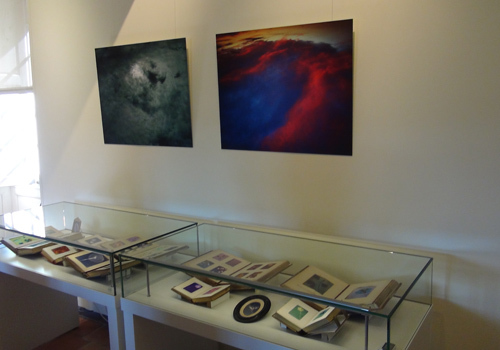 Exhibition of the works realized by Aurélia Frey during her residency at the museum. Part in the footsteps of the character Henriette de Mortsauf, the artist investigated in the castles of the Indre valley ... Photographic work inspired by the novel The Lily in the Valley, as well as the site itself (castle, furniture and gardens). From July 29 to December 31, 2018. 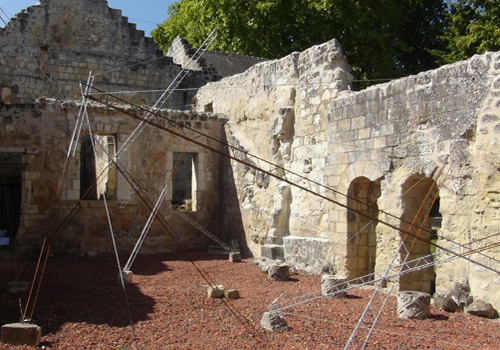 The Rabelais museum hosted for two months the artist, Benoît Villemont plastic artist, musician, founder, and designer within the Ménure collective. The project imagined for La Devinière, the creation of frozen silences in order to elevate the spectator to an enchanted state of contemplation and inner silence. 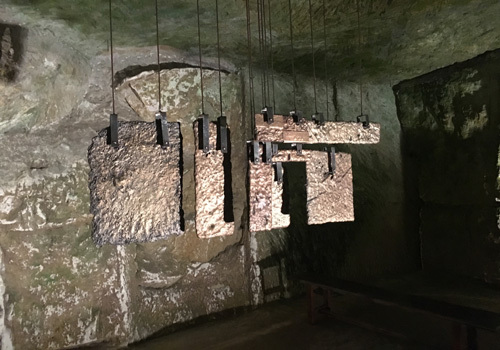 These frozen silences - bronze plates fused during the residency - form a sound path installed in the cellars and underground of the place as so many invitations for visitors to come scratch, ring, beat to break the silence. The frozen silences are inspired by the famous frozen words contained in the Quart Livre. Remember the past, not to reproduce it but to make new work; to take place in the uninterrupted links of a long tradition, without allowing oneself to be bound to it, but by retaining the frame; register in filiation, to better fertilize it. This is how the authors of the Middle Ages conceived their relation to the past, often claiming, at the threshold of their works, the necessary act of remembrance. Nowadays falling into disuse,this evocative term perfectly expresses what was then played out in the memory process where medieval writing drew - and invented - its legitimacy: both a "remembrance" - meaning that is always alive in the English remember - but also a "consolidation", ie a re-composition, a re-organization of scattered traces in which it is a question of giving shape and meaning. It is to this prospective opening of memory, to this creative reappropriation of the past that the Remembrances exhibition invites us. In the natural setting of the Royal City of Loches, Arthur Zerktouni brings together contemporary art and the Middle Ages in a reversible and stimulating dialogue ... Chloé Chalumeau, doctor in French literature of the Middle Ages. Sound composition by Shoi Extrasystole. Cyrile Courte, visual artist, creates self-propelled installations inspired by the researches of the architect David-Georges Emmerich in the 60s (the Prieuré Saint Cosme with cosmic dimension). Some celestial murmurs will invite the walker to listen to the stars. "ArtGeological" participatory project: implementation of a fake archaeological site. 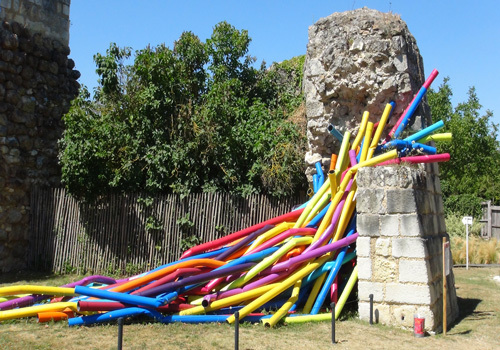 Scenographic composition, using multi-colored pipe tubes, inspired by the archaeological excavation and the monument.